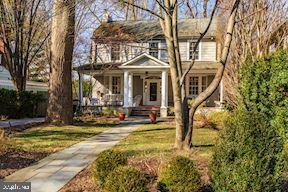 Incredible 12,000+/-SF home w/ fabulous renovation on a half-acre corner lot in prime Wesley Heights. 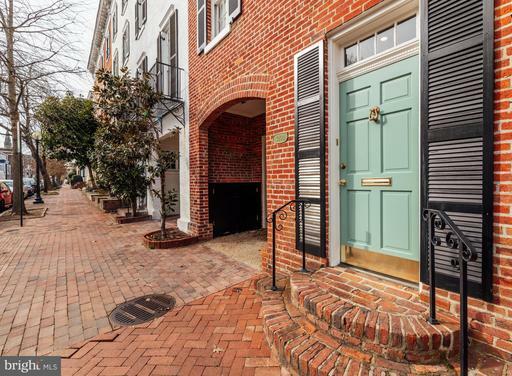 Private gated rear garden has multiple terraces, Swimming Pool, and 2BR/3BA Pool House w/ Kitchen and Spa! 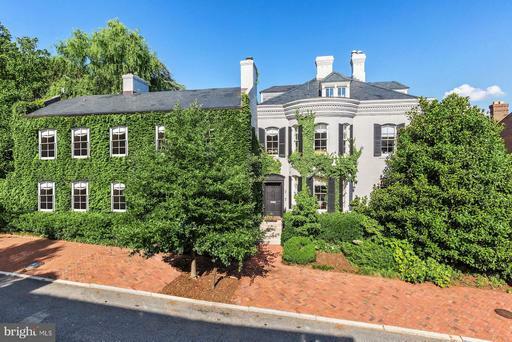 Main House w/ 6 BR, 6 Full + 2 Half BAs, including Master BR w/ His Her BAs Dressing Rooms. Circular Brick Paver Driveway w/ 2 Oversized Garages. Too Many Details to list! 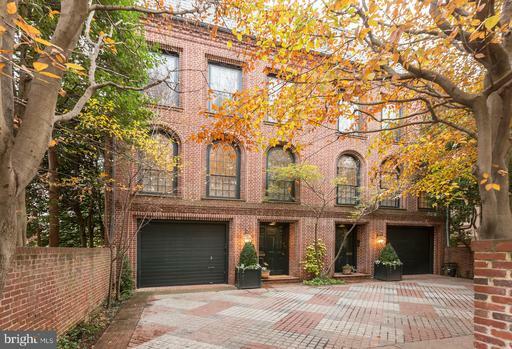 Exquisite brick Georgian with gracious floor plan and renovated 7,000+ SF interior. 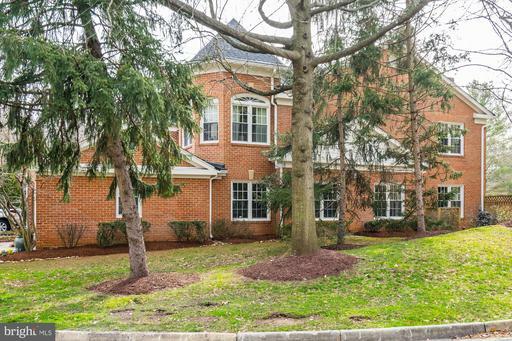 Gorgeous, grand-scale LR, DR, Kit/FR, and Conservatory on main level each walk out to lush private surrounding gardens. 6BR up including large owner suite w/ dressing room. Fully finished, expansive lower level with gym billiard room. Garage parking. Steps to St. Albans, Beavoir, NCS, Maret, WIS plus many shops restaurants! 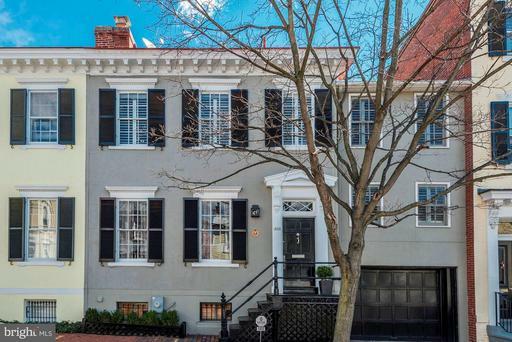 Gorgeous design-award worthy renovated Spanish Colonial prominently elevated on prime corner lot just north of Embassy Row and US Naval Observatory. Gleaming hardwoods, custom moldings, Chefs dream kitchen w/ Carrara marble, Thermador appliances, and custom cabinetry in inviting blue gray tones. 5 BRs, 4.5 BAs include uber-luxe Master BA. 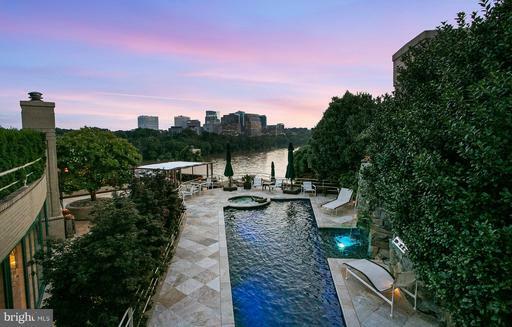 Private wrap-around terraces w/ Hot Tub. 2-Car Garage. A unique and special home. CALIFORNIA DREAMING! A BEL AIR BEAUTY! 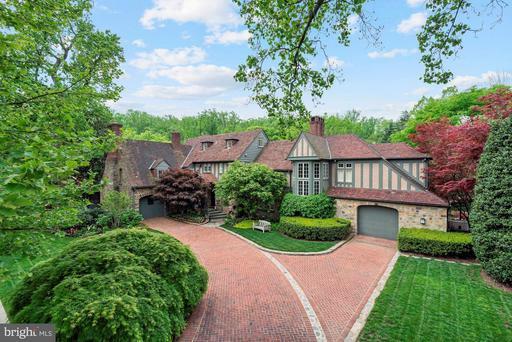 Framed by mature trees and lush hedges, this architectural treasure is surrounded by garden-like grounds that have been expertly designed by renowned landscape architect Michael Bartlett. This home showcases a heated in-ground pool and a level yard perfect for entertaining of any size. 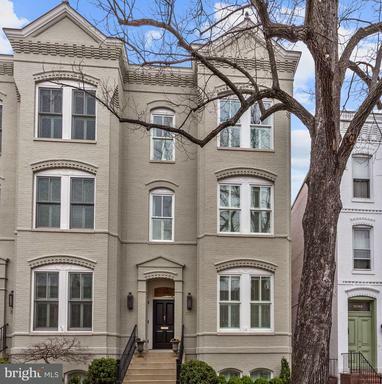 4635 Ashby St NW is a remarkable residence that is perfectly situated on a spectacular corner lot that is comprised of 7 Bedrooms, 6 Full Baths, 2 Half Baths, and an attached 1-Car Garage. 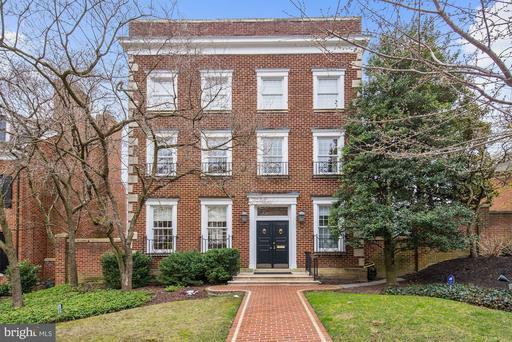 This peaceful, estate-like home rests on 0.23 acres in Berkley/Foxhall and features exceptional living spaces and a fantastic location minutes to Downtown DC.This home showcases simple elegance with its oversized windows, intricate millwork and moldings, and well-proportioned rooms. Warm and inviting, the wide Foyer reveals views that span from the front door to the rear Patio. Natural light touches every room and transforms this home into a serene estate nestled amongst gardens and trees. Off of the Foyer is a private Study lined with extravagant built-ins and accented by a wood-burning fireplace and a wet bar. Through the Foyer, there is a spacious Living Room with a fireplace, wet bar, and access to the rear Patio. 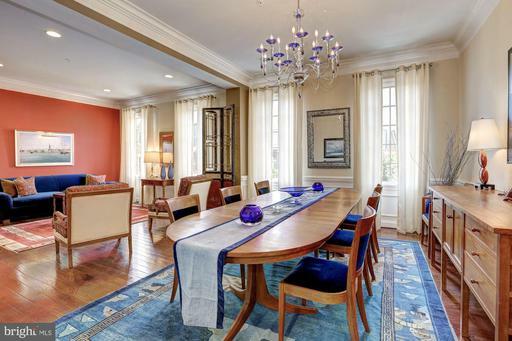 The Dining Room is highlighted with gracious millwork and tranquil views of the backyard and French doors to the Patio. Spacious and well-designed, the Kitchen is outfitted with nearly everything that any Chef would desire.The two Upper Levels sequester 7 Bedrooms and 6 Full Baths, all versatile enough to be used as Private Bedrooms, Guest Rooms, an Au-Pair/In-Law Suite, or a secluded upper level workspace. The Master Suite encompasses a large Walk-in Closet/ Dressing Area and separate ~His/Her~ Master Baths. An extensive Family Room is on the Lower Level along with a Recreation Room that opens to side entrance. Sweeping manicured grounds feature a heated, in-ground pool, a large Patio + glorious green space. Sold As-is. 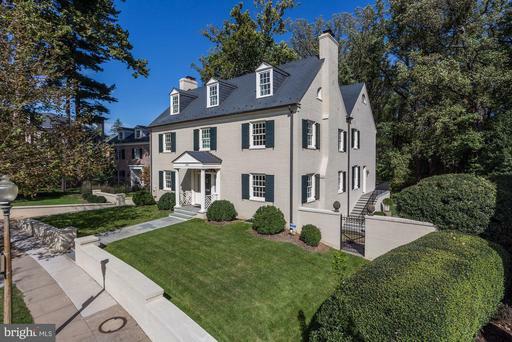 Timeless classic on picturesque street in the heart of Wesley Heights. 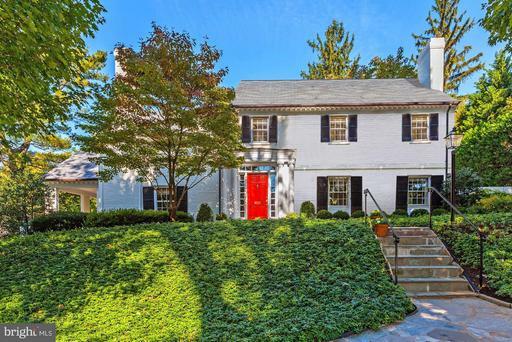 Picture perfect painted-brick Colonial with enduring traditional touches. Large living dining rooms, well-equipped kitchen with breakfast room adjacent to family room/library with fireplace. Splendid master suite with separate sitting room, balcony dressing rooms. Additional 2nd level bedrooms with ensuite baths plus study/den. Wonderful screened porch outdoor spaces set in lush gardens. Major renovations/expansion in 1992. Two-car side-entry garage + driveway with pavers. Shows beautifully! Estate sale so "as-is." 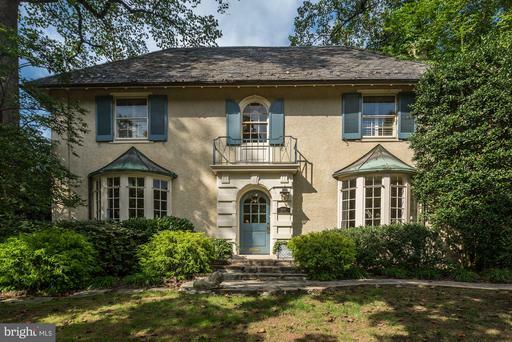 Elegant French Provincial style house with over 4,4oo sq ft est. 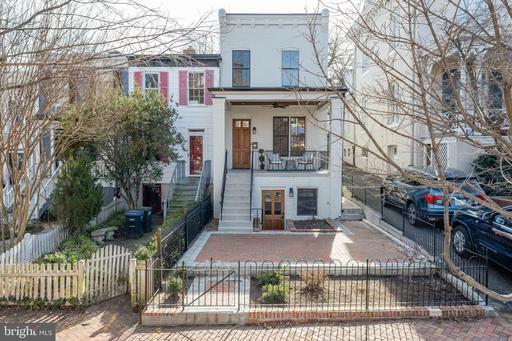 on a cul-de-sac in sought after Wesley Heights. 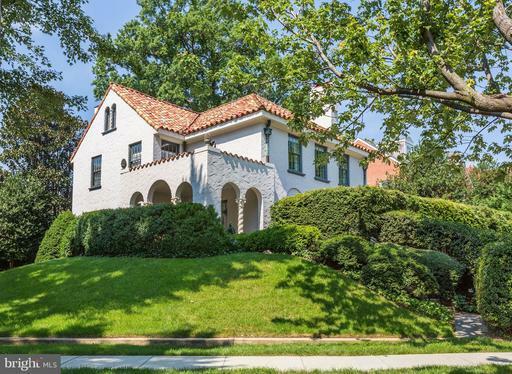 Main level features a formal living room, formal dining room, large open eat-in kitchen with breakfast room and family room addition designed by Barnes Vance. 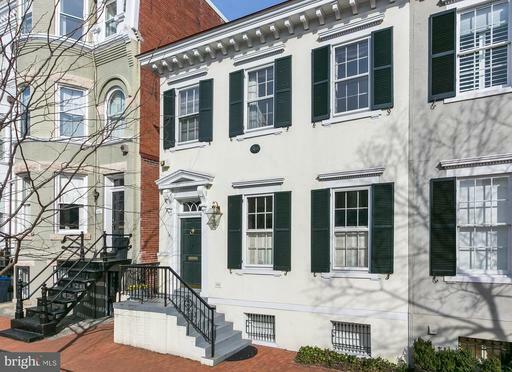 Master suite with walk-in closet and large marble master bath, 4 guest rooms with connecting bathrooms.Beautifully landscaped flagstone terraced garden. 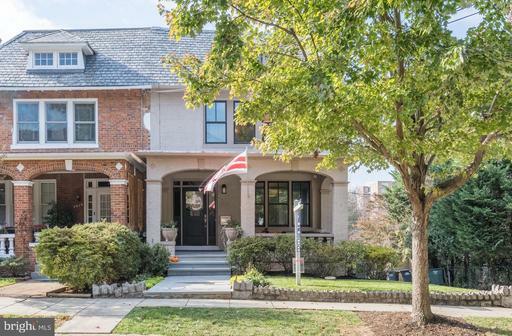 Freshly updated colonial on a quiet street, blocks from Georgetown, the German and French embassies and a short commute to downtown DC Arlington. 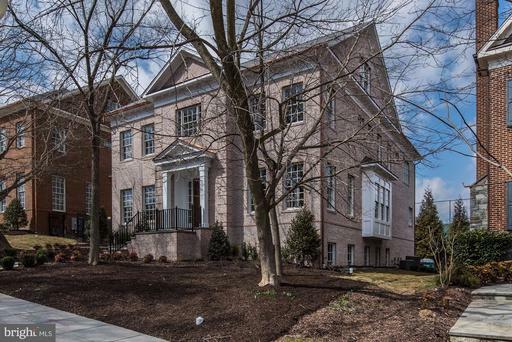 7 bedrooms, 5 full baths, 2 half baths on 4 floors of living area. 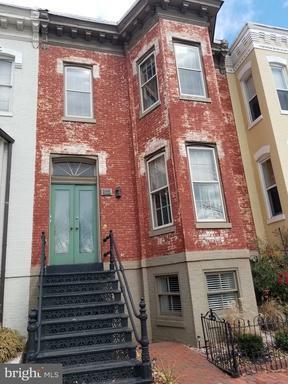 Beautiful architectural details, high ceilings, wood floors, new furnace in 2018, and newly remodeled bathrooms. Gourmet kitchen with breakfast bay, opens to the family room and large deck that is great for entertaining or an al fresco dinner. Adjacent formal dining and living rooms flow into each other for an open feeling. Upstairs see the spacious master bedroom with walk-in closet, large deck and completely remodeled master bath, featuring heated marble floors, a soaking tub, and enclosed shower. Ample closet space in all the bedrooms. Laundry on the 2nd level. Upper most level has 2 oversized bedrooms and a full bath. Lower level has a brand new au pair suite with 1 bedroom, 1.5 baths, living room/kitchenette, and laundry. Ample parking outside or room to make into a play space, and an oversized 2 car garage with storage above. 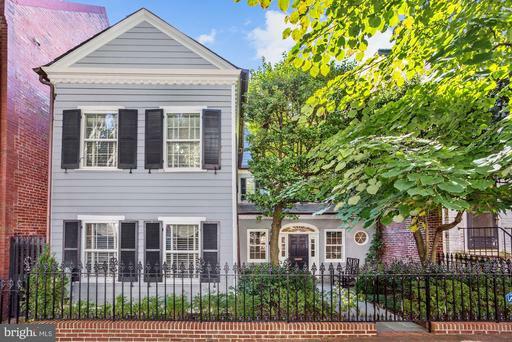 NEW PRICE: BUILT NEW IN 2018 3,557 Sq.Ft. 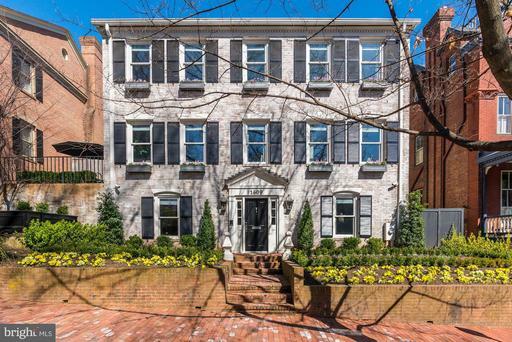 of gracious living entertaining space on 4 finished levels. 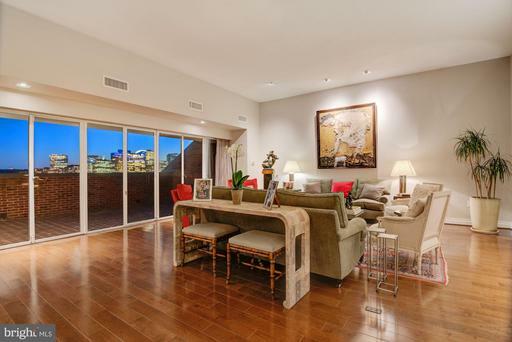 Open floor ~ plan designed to accommodate todays active lifestyle. Trophy Kitchen offers Viking appliances - two sinks two dishwashers, a large marble island with bar seating, and a sun-filled adjoining Living /Family Room that opens upon a south-facing deck. 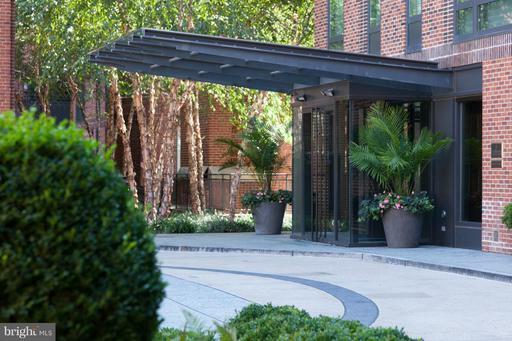 The spectacular roof top terrace is perfect for outdoor Bar-B-Ques with gas line and the Lower Level offers an expansive Family Room, Bedroom, Office and 2nd Kitchen. 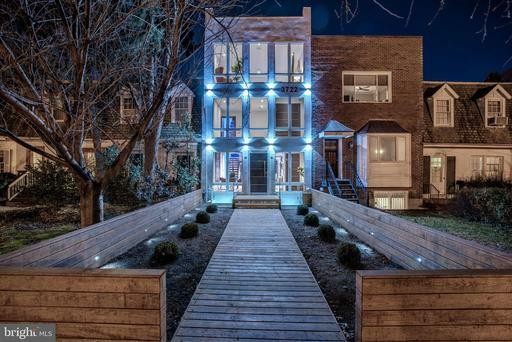 10 Foot Ceilings, Oak Wood Floors, Sonos Speaker System, 2 Car Parking. 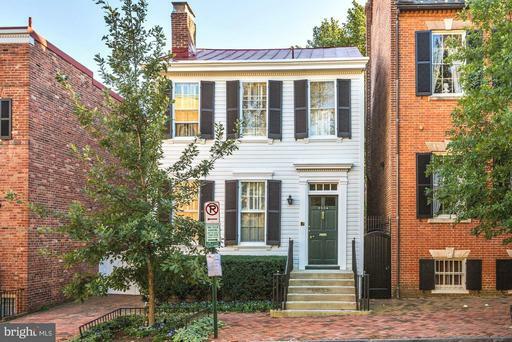 THIS IS A MUST-SEE PROPERTY. Stunning views of sunsets on water from the lovely deck off the family room. 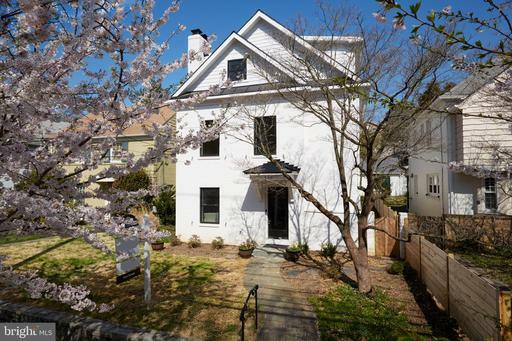 Enjoy living in this lovely renovated home 2013-14 including roof! 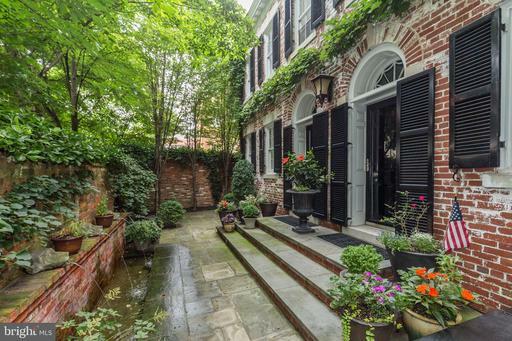 This is a house for entertaining with a lovely flow on the main level. Living room, dining room, family room off the deck, study as well as kitchen and powder room, all on the same floor with beautiful water views Reservoir. 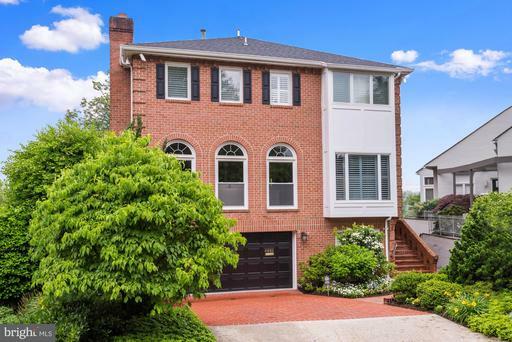 Park your car in the two car garage, and in LL is a 2 BR 2 BA, huge living/dining, kitchen open to the LR/Dr with its own deck, all out of the ground. Two baths, one en suite, W/D. Separate entryway. On the main level, you have Living room with fireplace, dining room, kitchen with high end appliances including Subzero Fridge, family room as well as study with built in book case, for a beautiful entertainment flow! The custom built-ins were installed in the family room on either side of the FP. Enjoy your coffee on the spacious deck facing the Reservoir with stunning sun set water views. Up the beautiful semi circular stairs, are the three huge bedrooms with BAs en suite. MBS is very large with an extremely big walk-in closet 1st stacked W/D. Beautiful modern Master Bath. Two bedrooms upstairs have new fans. One in the family room. 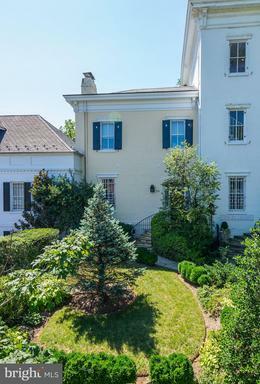 The property was totally renovated in 2013-2014 includes a new roof. The deck facing west and the Reservoir provides water views......deck has an electric awning, The book cases in the Family room with fireplace are custom made for the seller. Hardwoods refinished. New marble tiles in the foyer. High end kitchen. Painted/in and out. The second zone of heating/air and fans done just a few months ago. 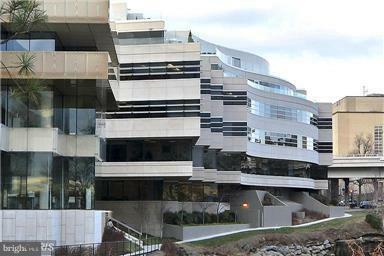 The architectural bay was redone. Chandelier in dining room does not convey. Sprinklers in As Is condition. Please call agent for showing. Tenant leaving by end of May. 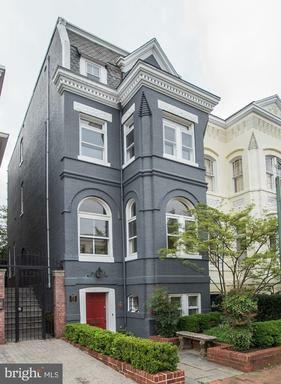 Property has 5 Bedrooms 5 1/2 BA, large rooms, high ceilings. 4 of the Bedrooms have Baths en suite. Alarm. Two FP, one gas. 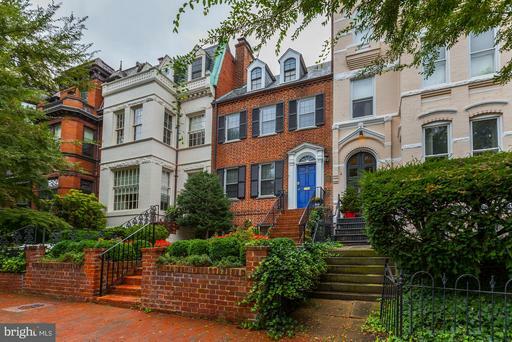 Walk to shops Georgetown University etc. quite close. Potential for a one bedroom flat in the LL level with separate entry, now just a storage. Large rectangular area of grass for children to run. Architectural Bay was redone. This property is completely out of the ground; including the LL level. Views are unbeatable! Sun sets stunning!People think it is the Potomac River but it is the DC Reservoir! Awning has sensors which will retract it if windy. Property was totally renovated 2013-2014 and includes a new roof. First zone was replaced at that time. 2nd Zone is few months old; new fans in 3 rooms. 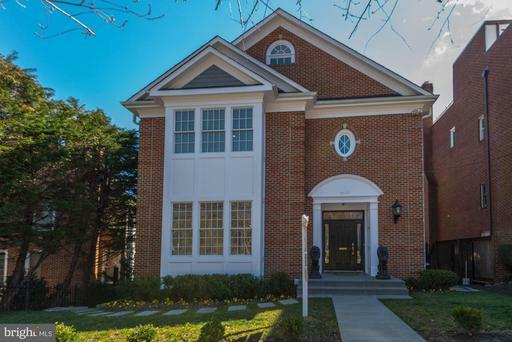 This stunning townhome is one of only a few end units in Georgetown~s Hillandale, a beautiful and unique gated community. 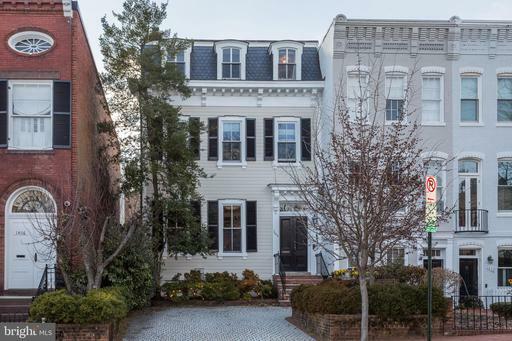 Magnificently renovated, this 4BR, 3.5 bath home has beautiful detailing throughout. Every part of this home has been touched with perfection. As you walk down the slate path into the main level, you will notice the detailing which features custom molding, custom book shelves, large pane patio doors and tall windows providing abundant light. A large eat-in gourmet kitchen has marble countertops and top-of-the-line appliances. There is one half bath on this level, a dining room and large living room with custom doors on either side of the fireplace, leading to a private fenced-in patio perfect for entertaining.The second level has a master suite with a sitting area in the master bedroom, a large custom closet and master bath featuring European marble and a separate tub and shower. There are two other bedrooms on this floor and an additional bath. The lower level includes a laundry room, a family room with a fireplace and one additional bedroom and bath. There is additional storage area on this level.The home features custom lighting, new hardwood floors and solid hardwood floors throughout. This particular home has an extra wide side yard with tall trees providing privacy. The patio has new slate surrounded by landscape gardens. 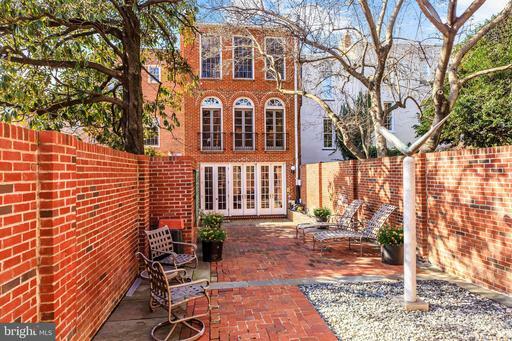 The patio is very private and is surrounded by a custom fence with access to the common grounds. There is one car garage parking.Hillandale is known it~s community amenities. There is lush landscaping and fountains throughout, a pool, tennis courts, tot lot, and community center. 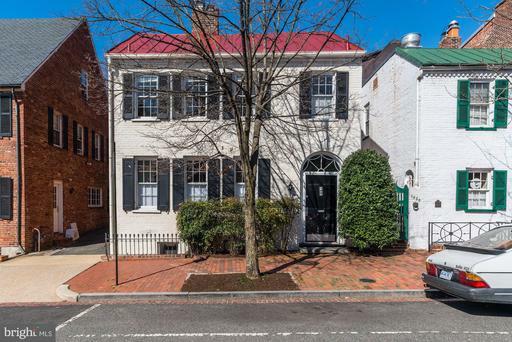 Stately 4BR, 5 full bath, 2 half bath home in the sought after Berkley neighborhood. 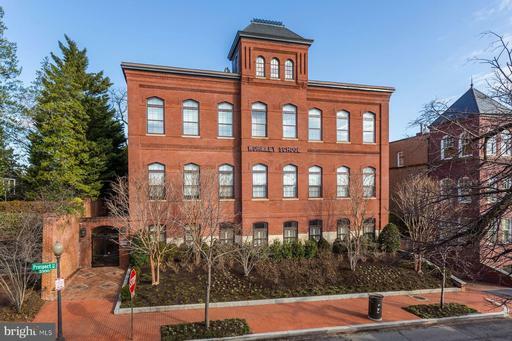 Updates throughout including a chefs kitchen w/top of the line appliances, hardwood floors, and elevator servicing all levels. 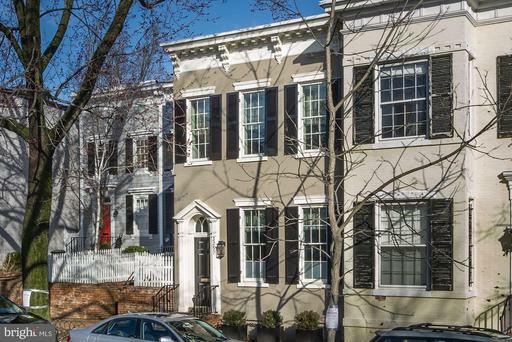 Gracious light filled main rooms, spacious bedrooms, master suite w/2 en-suite baths, 6 closets. 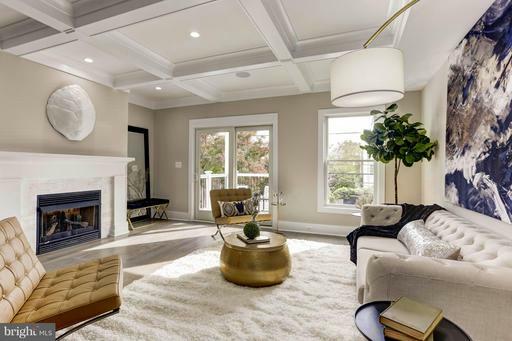 Formal living room with expansive deck perfect for entertaining, library, sunroom, separate formal dining room, lower level rec room, 3 wood burning fireplaces. Floor plan allows for many areas of combined indoor/outdoor living and entertaining! Rear fenced yard, patio with pergola and pool. Detached garage parking! 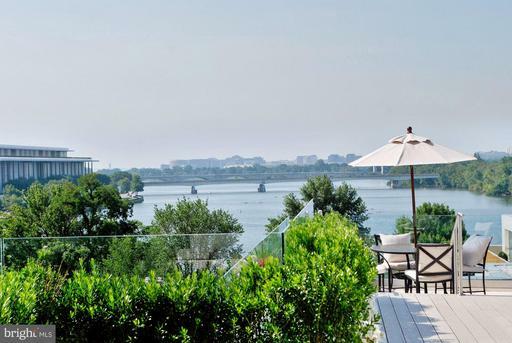 Nestled along the Potomac with a stunning PANORAMIC ROOFTOP VIEW! 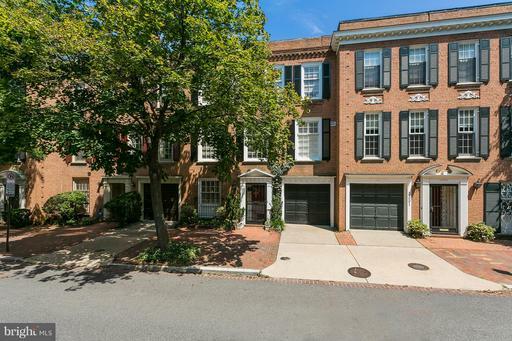 Luxurious 3 Bedroom, 3 Full Bath, and 2 Half Bath 4-level Townhouse with elevator and 2-car garage with driveway. IMPECCABLE FINISHES UPGRADES, Gourmet Kitchen, and large living spaces. 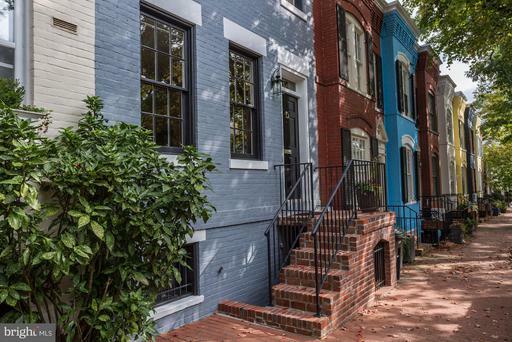 COMFORTABLE and CONVENIENT living with Georgetown minutes away. 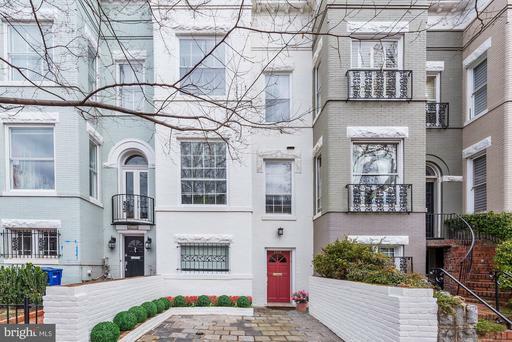 Approximately 3700 SF with marvelous outdoor spaces - roof deck, patio, balcony. 3 gas fireplaces and a top level flex space ideal for a 3rd Bedroom or Loft. 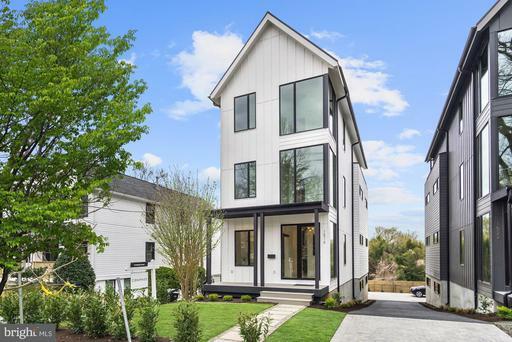 Completely renovated, expanded reimagined, this fabulous new residence features all of todays modern living amenities and is situated steps to schools, parks, shops and dining. 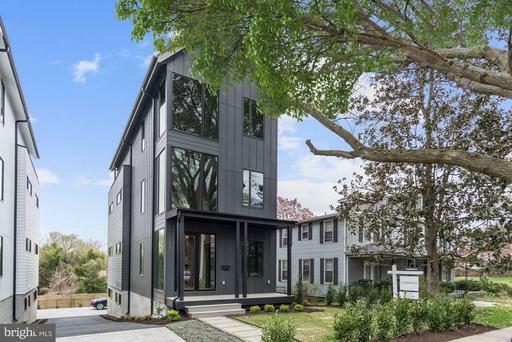 The main level features a contemporary kitchen open to a light-filled Family room, formal dining and living area, private office and rear access to a one-car garage and an ample fenced back yard. Stunning master suite on the second level with two additional bedrooms and hall bath. Third level guest suite with stunning recreational room opening to roof deck. Lower level au pair/in-law suite connected to main house plus a separate/private entrance. $10,000 buyer credit for any contract ratified before 4/21.